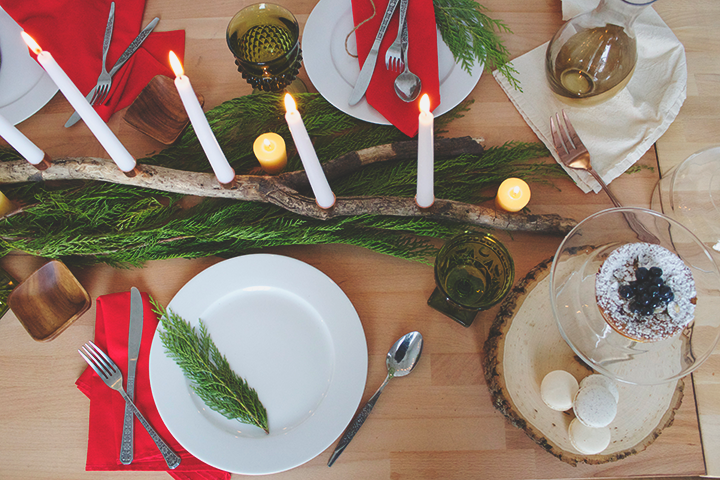 Gathering together friends and family is our favorite part of the Holidays. It's what the season is all about! 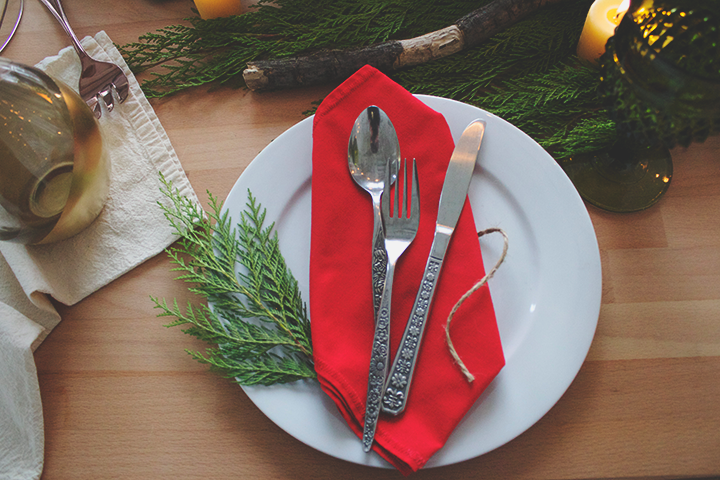 But hosting and entertaining doesn't have to be a fancy, overwhelming, or pricey affair. 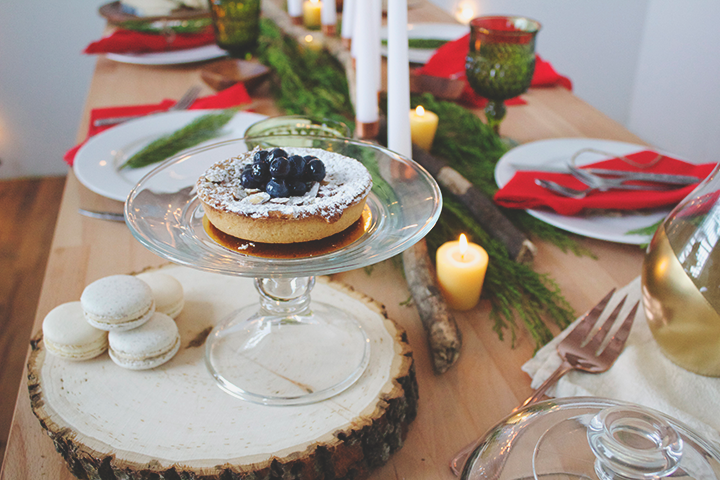 We put together our favorite look for a Holiday inspired table. 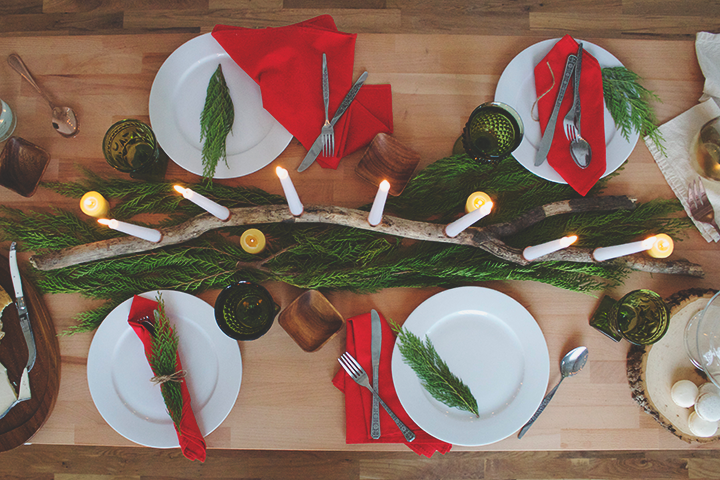 Lots of candlelight and plenty of natural elements brought in doors. 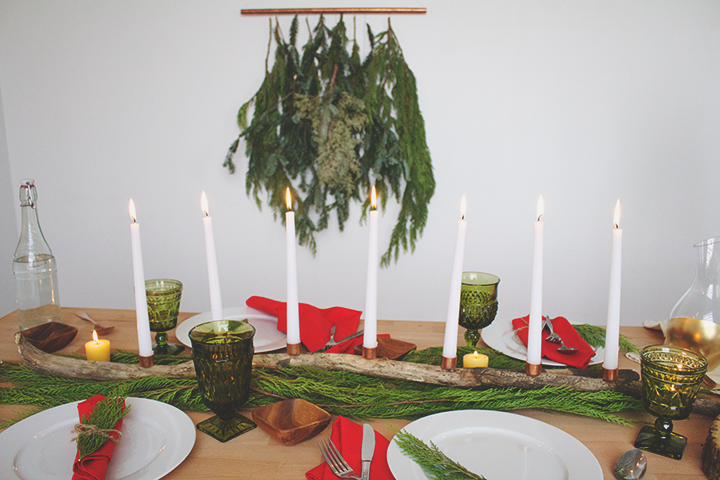 Below, learn how to make this Copper Branch Candelabra with foraged branches from your own backyard! 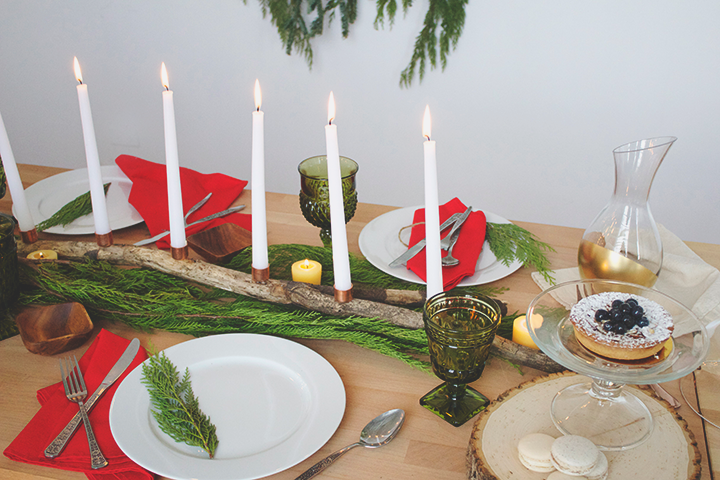 Step One // Mark with a sharpie where you'd like each candle to go on your branch. Mine was thick enough where I could balance the copper tube caps on it and play around with spacing. Step Two // Use the epoxy glue to adhere the copper tube caps to the branch, open side facing up. Let dry for 30 minutes. 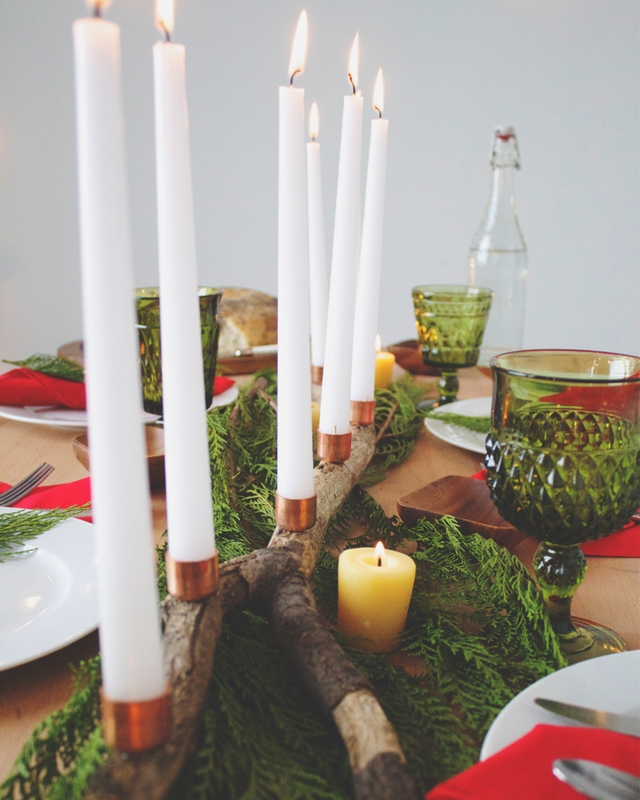 Step Three // Insert tapered candle into copper tubing. 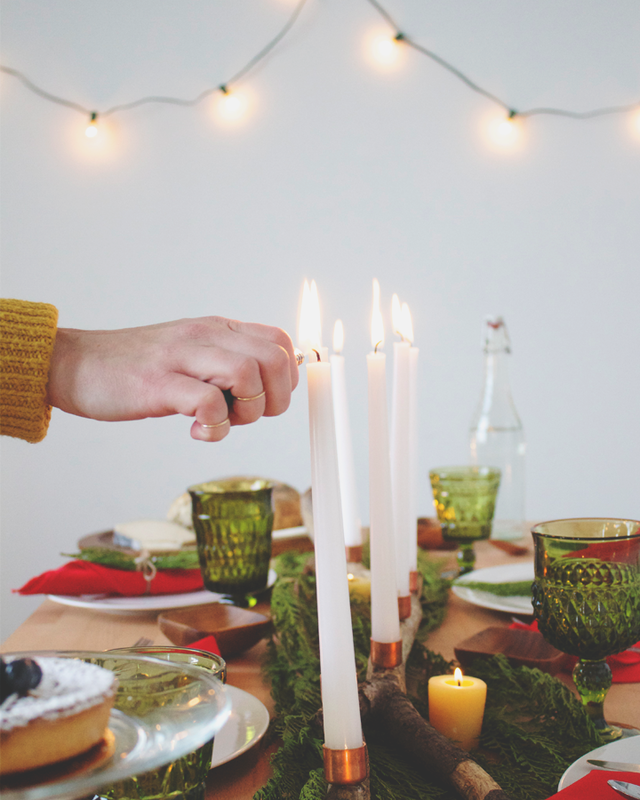 NOTE: when inserting the candle into the tube, you might have a little extra space. Each of my candle were rapped in plastic, so I cut the plastic to stay on the bottom part of the candle and fill in the extra space. It worked perfectly! 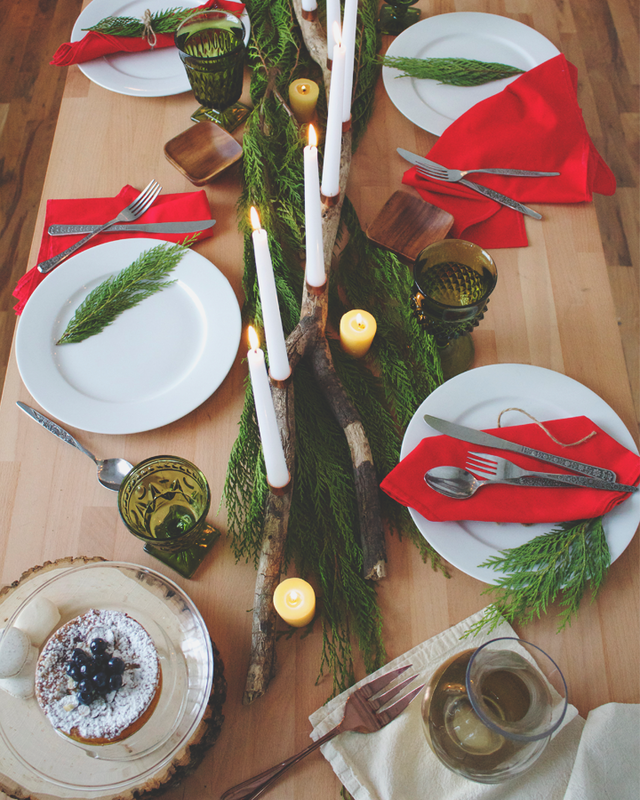 Make this Copper Branch Candelabra and don't forget to tag your photos #fmholidays.